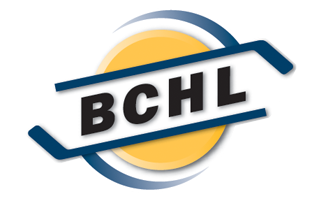 It was a night of tough breaks for Salmon Arm in the Shaw Centre falling 5-2 to Chilliwacj. Things nearly started out on a good note as a turnover from Kevin Wall left Justin Wilson alone in front of the goal, but the 20 year old forward couldn’t beat Daniel Chenard. Three minutes later it was Wall of the Chiefs ringing a shot off the left post and out. Wall would redeem himself with five minutes left though a he tucked a sharp angled shot up top for the 1-0 Chiefs lead. Chilliwack went to a power play five minutes into the second, but it was the Silverbacks, Matthew Verboon scoring shorthanded for the second game in a row. Sprung by Andy Stevens for a two-on-one break, Nick Unruh passed to the left and Verboon finished the job tying the game at one. Salmon Arm would take the lead eight minutes later on a power play with Jack Sampson setting Justin Wilson up in front of the goal for the big forward to score his 21st of the season matching his jersey number. That’s when the bounces started to go against Salmon Arm. A clearing attempt from the Chiefs went off the linesman at the blueline, springing Wall for a breakaway. The speedy forward would tuck it five hole tying the game. Then with a minute to go, a point shot from Brody Gagno dropped right to the feet of Jacques Bouquot and he spun firing a shot in for the 3-2 lead for what would eventually stand as the game winner. In the third, Bouquot nearly played setup man feeding the puck across the ice for Sklarr Brind’Amour, but Matthew Armitage was able to reach across with the glove for the big save. The Chiefs extended their lead with 15 minutes to go on a tally from Ethan Bowen. Shortly after that, the Chiefs took a five minute penalty with Jacob Slipec sticking out a knee on Justin Wilson. The player with one goal on the season ended the night of the one who has 21 through 31 games. Matthew Verboon would jump in on the scrum as well after, and received a misconduct meaning Salmon Arm was down two of their best shooters for the five man power play. 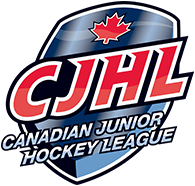 Salmon Arm was unable to score, and would pull the goalie late, but it was Kevin Wall taking a pass from Carter Wilkie to complete the hat-trick. The Silverbacks had 54 shots, but could only beat Daniel Chenard twice who was named the first star of the game. The hat-trick for Wall gave him second star, while a goal and assist for Verboon earned him the third. With no points on the night, John Little’s 15 game point streak came to an end. With the two points, Verboon now has the longest in the league, with 24 points in 14 games with at least a point. It was another solid night on defence for the 20 year old Darren Rizzolo. His quick stick took away a number of chances for the Chiefs, and his shot continued to be a threat both at even strength and on the power play.